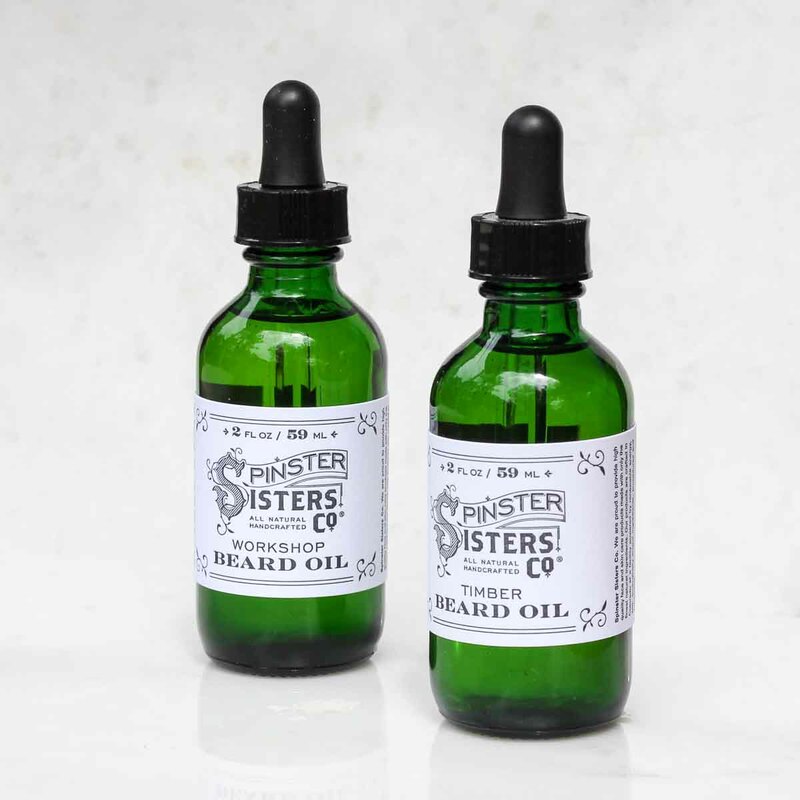 Beard Oil | Men's Skincare | Spinster Sisters Co.
UPC codes are listed with the options. Our Beard Oil is quite famous. It contains a blend of natural oils including jojoba oil which moisturizes the skin and hair, avocado oil which can calm itchy skin, and vitamin E oil which can strengthen hair follicles. Available in two scent blends, our sweet and spicy Workshop scent or the pine and cypress scented Timber. Q: Researching to start online retail for environmentally sound packaging of men's skin care, starting with soap in tins. Is the beard oil is in glass? It's hard to tell from pic. I'll be avoiding products sold in plastic, (taking exception to dropper tops, which only come plastic) Might avoid that. Not yet ready to open acct. Still researching products and companies. Either etsy or amazon will be my online platform or both. Are you open to a presence on one or both? Thanks for your email. Yes, the Beard Oil comes in a glass bottle, with the plastic dropper. We have our own Etsy site, and we do not allow our products to be sold on Amazon, unfortunately. 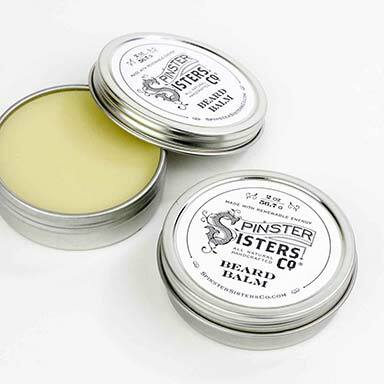 If you have any additional questions, feel free to contact us at suds@spinstersistersco.com. Thanks! Q: Love the workshop scent. Is it available in a body spray or cologne type application/product? We love the workshop scent too! We actually have it in quite a few products, but I think the one that you are probably looking for is the Body Oil - that would be a great fit, I think. It is also available in Shaving Cream, Shaving Soap, Body Butter and Sugar Scrub. Q: Can this be used on pubic hair? I was looking at the brand "fur" and looks like its essentially the same ingredients. I am not familiar with Fur, but I do not see any reason why this could not be used for the same purpose. Argania Spinosa (Argan) Nut Oil, Persea Gratissima (Avocado) Oil, Simmondsia Cahinensis (Jojoba) Seed Oil, Tocopherol (Vitamin E), and [Timber scent: Junipers Communis (Juniper) Fruit Oil, Abies Sibirica (Fir) Oil, Cupressus Sempervirens (Cypress) Oil, Lavandula Angustifolia (Lavender) Oil, Mentha Piperita (Peppermint) Oil, and Tsuga Canadensis (Spruce) Leaf Oil] or [Workshop scent: Fragrance, Citrus Aurantifolia (Lime) Oil, Citrus Aurantium Dulcis (Orange) Peel Oil, Citrus Grandis (Grapefruit) Peel Oil, and Vetivera Zizanoides Root Oil]. Rub a few drops of oil into your hand and then massage into your beard. Comb oil into long beards.